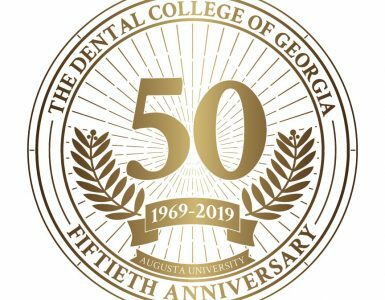 The name has changed, but the fact that The Dental College of Georgia stays true to its original mission is best exemplified in its strongest asset: its students. This was the resounding theme of Dean Carol A. Lefebvre’s 2016 State of the College Address, delivered in March. 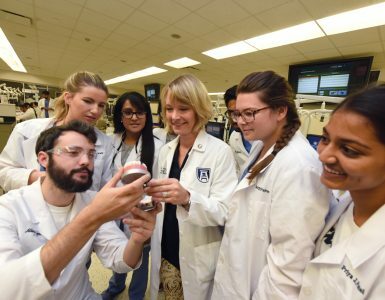 Lefebvre cited dozens of statistics during the address attesting to the health and vibrancy of the state’s sole dental school, renamed The Dental College of Georgia last year to more accurately reflect its widespread scope and significance. But as has been true since its inception in 1969, virtually all roads lead to its lifeblood: those earning degrees today that will enable them to serve the oral health needs of citizens for generations to come. And nowhere, Lefebvre stressed, can students get a better value. The average debt burden of a DCG student is $180,000, compared to $250,000 nationwide. She lauded the faculty and staff as well in cultivating the students’ best attributes. “Our great team of faculty and staff has worked hard this year to give our students and residents the best dental education possible and at the same time provide excellent oral health care,” she said. The proof, Lefebvre said, is in the pudding: the Class of 2017 logged a 100 percent first-time pass rate on the National Board Dental Exam Part I.
Lefebvre also expressed pride in the considerable outreach that is part and parcel of every member of the DCG community’s experience. She reported that 125 children were served during the college’s annual Give Kids a Smile Day in February, just one of many volunteer initiatives specifically targeting socioeconomically challenged citizens. 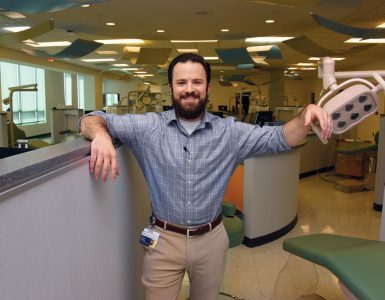 Further expanding its reach to the state’s neediest citizens, Lefebvre noted that senior dental students completed 18,000 procedures last year in its 23 clinic sites. The sites, including one recently re-established in Savannah, Georgia, are housed in 17 counties throughout Georgia. The college also expanded faculty and student involvement in Albany, Georgia. And the dental college continues to partner with other entities to expand that reach. For instance, Associate Dean Carole Hanes recently received a three-year, $1.5 million Health Resources and Services Administration grant to help attract dentists to underserved areas. In total, HRSA has provided $4.2 million to the dental college to advance this goal. Lefebvre applauded the college’s international efforts as well, citing its affiliations with schools or clinics in China, France and Italy. $1.2 million in donations poured into the college last year, including $200,000 in scholarships from the Thomas P. Hinman Dental Society. 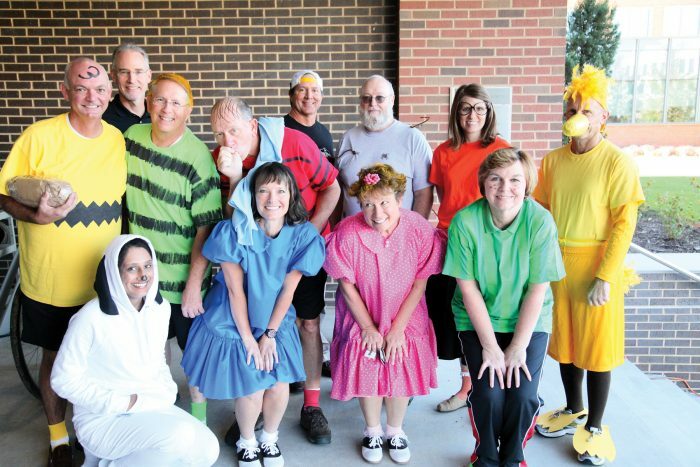 Donations also reflected the DCG community’s own generosity; for instance, the Class of 2015 raised $10,000 for The Dental College of Georgia Student Crisis Fund. Research on topics including oral cancer, periodontal disease and dental materials continued to attract worldwide renown in fiscal year 2015-16, Lefebvre said, congratulating her colleagues on receiving almost $1 million in National Institutes of Health funding during the period. The college developed new ways to increase research productivity as well, including through its FOSTER Program (see page 17). The program (Faculty Opportunity Strategies Toward Effective Research) partners seasoned faculty members with less-experienced colleagues to navigate the intricacies of research. Goals include reducing individual effort, saving time, establishing comradery and engaging students in research.